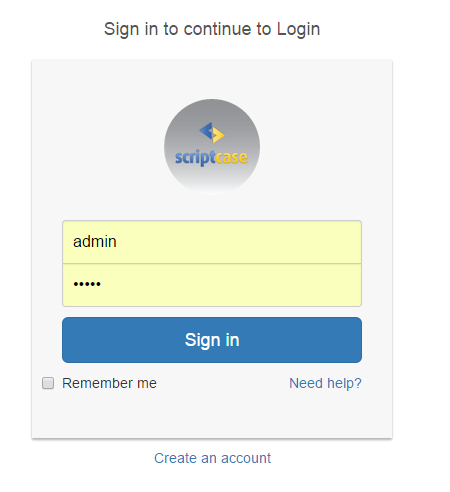 This application uses the sc_url_library function of Scriptcase to include the Bootstrap CSS libraries, and the PHP file_get_contents function to access a webservice created in another application that performs user validation and typed password. // Check if the login and password were typed. // Parameters to be passed to the webservice. // Check the return from the webservice. // Starts the Login page layout. <?php // Ends the Login page layout. // Check the option clicked by the user. // Option to validate user login and password. // Option to insert an user. // Option to delete an user.